Kaspersky Security Cloud for Mac is activated through the My Kaspersky portal. Buy a subscription for Kaspersky Secure Connection for Mac. Connect Kaspersky Security Cloud for Mac to your account on My Kaspersky. Go to Store → Mac. Choose the version and click Buy now. The subscription will be automatically added to your account on My Kaspersky. You will find the information about the subscription in the Licenses section. In the Kaspersky Lab online store, open the Kaspersky Security Cloud page. After the purchase, a My Kaspersky account will be created for the email address you have specified in your order. The subscription will be automatically linked to that account. You will find the information about the subscription in the Licenses section. Run Kaspersky Security Cloud for Mac. 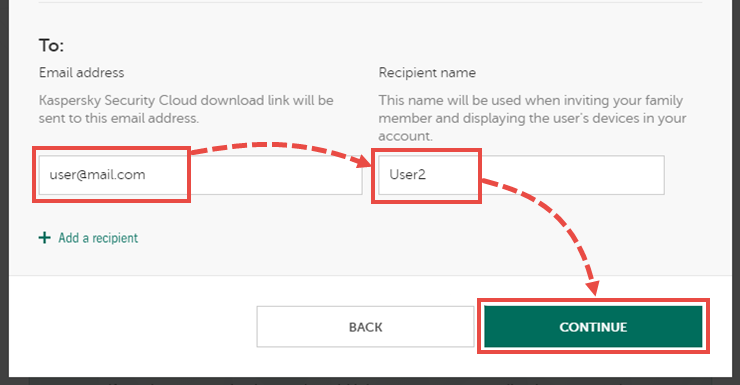 Enter the login and password for the account on My Kaspersky with the subscription for Kaspersky Security Cloud. The application is now activated and connected to your My Kaspersky account. Connect the application to your account on My Kaspersky on each device. Use this method if you want to manage the protection on all the devices yourself. Share your subscription with another person through My Kaspersky. To learn how to add a website, see the guide below. 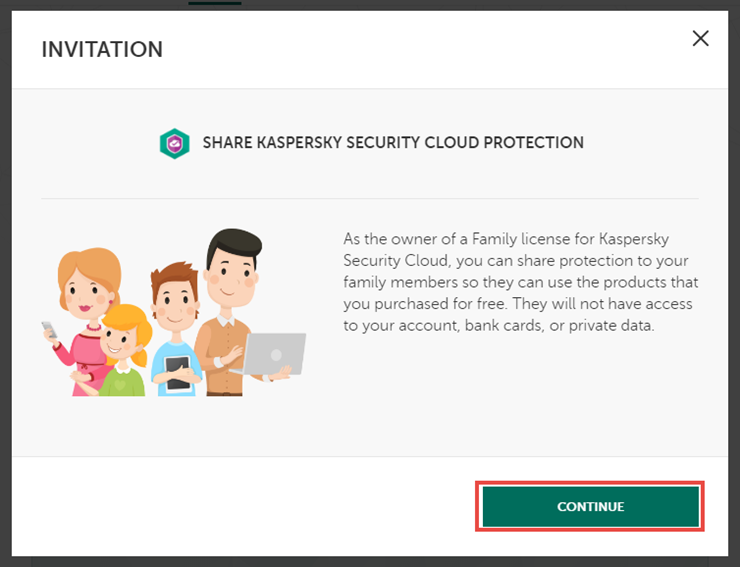 This option is only available in Kaspersky Security Cloud for Mac — Family. Share the subscription if you want the applications to be managed separately on the devices. This person must have their own account on My Kaspersky. 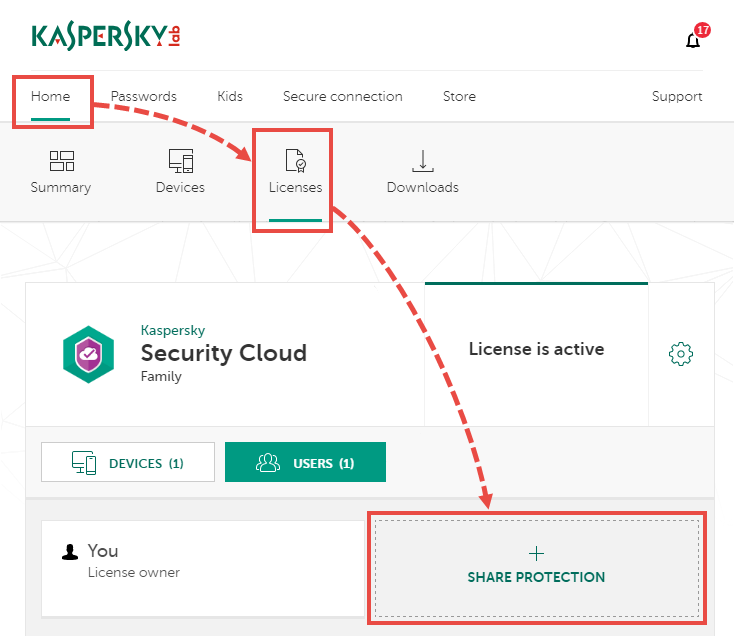 In the Kaspersky Security Cloud block, click Share subscription. Enter the email address of the user with whom you want to share the subscription. The email must correspond to the one linked with the My Kaspersky account. Enter the name of the user. The user will get a message prompting to install and activate Kaspersky Security Cloud for Mac for free. After the user confirms receiving the subscription, the subscription will appear in their My Kaspersky account. However, they won’t be able to manage the subscription. Add the activation code to your licenses in My Kaspersky. To learn how to add a code, see Online Help. 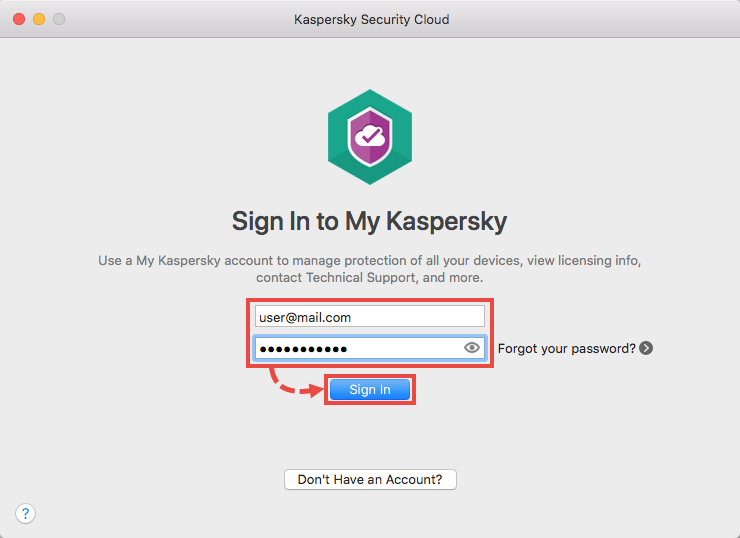 Connect Kaspersky Security Cloud for Mac to your My Kaspersky account. If you experience problems activating Kaspersky Security Cloud for Mac, send a request to Kaspersky Lab Technical Support via the Management Console. Please include a detailed description of the issue.